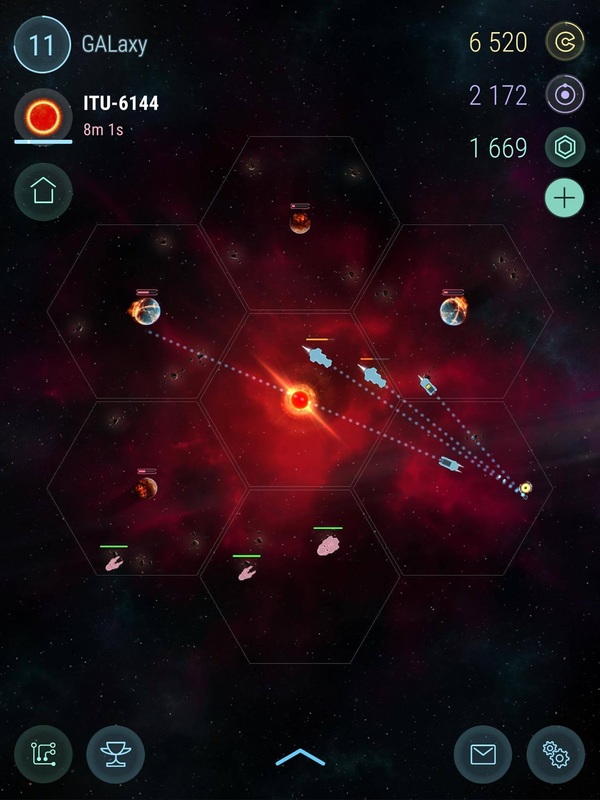 Hades' Star Development blog: Red Stars: are you with us or against us? I got greedy again and neglected to look at the timer and lost a transport ship. That’s always the way it goes for me, but at least this time, I didn’t lose a battleship! Hi, I’m GALaxy and I’m playing Hades’ Star like the rest of you! This is my millionth system and I love it the most because it’s permanent. I’ve been testing every version this game has ever seen (remember when we were saving colonists?! No? That was just me, then) and boy am I glad to say au revoir to the tutorial. I’m not what you would call a “gamer” so don’t get your hopes up for cool moves and sweet tricks. I mean, maybe I might come up with something, I just can’t promise anything. My game play is more strategized for my daily life. I like levelling up, maxing out, collecting all the cats and then I’m like, “Now what’s the point?” so that’s when there had better be some weekly events or updates to keep me going. Good thing Hades’ Star is headed in that direction because it would be really hard to let my husband know that I’m bored of his game, and I’ll be quitting in exactly 6 weeks once I’ve achieved my last achievable achievement. Case in point: Hay Day. Hay Day is a farming game where you feed animals and make products and expand your farm as you cater to customer’s orders. I’ve been playing this game off and on FOREVER. Or at least it feels like forever. It’s been at least three years. Probably four. I’ve got a really terrible memory for dates. I’m at level 103. I have all the stuff. I can very easily complete all tasks in the weekly derby event. If I'm being honest, though, I’m really tired of fighting for tasks every week and setting timers. Before the derby, Hay Day was a really nice, calming game. I could just pop in and out whenever I had time. I liked the derby because it gave me a purpose, but now I don’t like the constant conflict. No one ever discusses what tasks they want or who should get what, it's bare teeth, scrambling, and diamond usage if you want to get any sort of decent task in the first four days of the derby. It's exhausting. That brings me to red star missions in Hades' Star. I’m hearing here and there how there is no player vs player. Well, I beg to differ! Technically (read: as the developer would like), red stars are supposed to be played together wherein we talk to each other and work it through and decide who gets what. But so far, I have encountered no chat (also to my fault) and other people just taking all the artifacts. Are they stealing from me? Am I stealing from them? It’s become a grey area. On my end, it feels like theft FROM me. All of those are mine, aren’t they? So I’ll pose the question to you! Red Stars: yours for the taking or friendly sharing? You should promote this blog more, it's great! As for the question, if feel it should be shared based on contribution. I have connected with other players and we have agreed to split 50/50 most times. I have seen some vampiric players that wait for you to clear out all the Cerb forces, then swoop in to claim the goodies. Luckily, you can take measure to thwart that trick, but it got me the first time for sure. Usually I secure the planets closest to me first, then if the other player still hasn't done anything I take what is left.